ATLANTIC CITY, N.J. - Throw your hands in the air and wave them like you just don't care and if you were at Atlantic City's Boardwalk Hall your response would be, "Oh, Yeah." On Sunday, January 14th, an enthusiastic crowd was on hand to see several lyrical legends perform at the All-Stars of Hip-Hop concert, in Atlantic City. Three Times Dope, Fatman Scoop and Jah Rule were among the artists who were at Boardwalk Hall to represent "real" Hip-Hop. Nelly, illustrious rap duo Redman and Method Man, and the lyricist widely considered to be one of the best emcee's in the history of the art, KRS-One (pictured), rounded-out this extraordinary line-up. Three Times Dope began the show on the "smooth tip" performing their hits, including, "The Greatest Man Alive." The crowd was enthralled with their performance. During a light-hearted moment, lead rapper EST tripped on stage and had the audience laughing when he said, "I may stumble, but I'll never tumble." Fatman Scoop, the party track master, wowed the crowd with an ultra-hype party set. Jah Rule had the ladies loving him like James Todd Smith performing his R&B-flavored Hip-Hop hits, such as "Always on Time" and "I'm Real" (the remix). When Redman — from Gilla House and Def Squad — and Method Man — from the world-renowned Wu-Tang Clan — came out on stage, many in the audience lit up ... their cell phones. The near-capacity crowd was intent on recording this amazing rap tag-team. These two super emcees brought tremendous energy inside the hall as they took the concert attendees on a fantastic voyage to the early '90s with hits such as "Time 4 Sum Aksion," "M.E.T.H.O.D. Man" and "Da Rockwilder." A heart-felt moment came near the end of the duo's set when they asked the audience to give a shout-out to fallen Wu-Tang Clan member Russell Jones, aka O.D.B. The crowd responded by rapping the lyrics to fan favorite "Shimmy Shimmy Ya." Nelly was next and performed his songs "Country Grammar," "Ride Wit Me," and "Air Force Ones." He thanked the crowd in Atlantic City for helping him have a successful two-decade career. Last, but not least, KRS-One finished the evening with a superb and powerful performance. 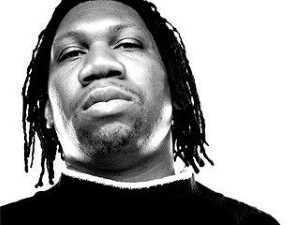 After more than 30 years in the game, KRS-One has plenty of albums to pull songs from. He started off his set with the song "Self-Destruction," which includes a clip of a Malcolm X speech. The song pleads with members of the African-American community to stop the violence. "I'm Still # 1," "My Philosophy," and "Love's Gonna Getcha" were a few of the songs that had the crowd amped-up during his performance. At one point, it appeared that his DJ was having some technical difficulties with the turntables. KRS-One wasn't disturbed and decided to rap his lyrics a cappella in spoken-word poetry form. Things got back on track and the rest of KRS-One's set flowed smoothly. Sharing the stage with the emcee was a group of breakdancers who performed magnificent aerial maneuvers with jumps and backflips. One breakdancer - who did some windmills - was spinning like fans on a ceiling. KRS-One reminded the crowd that they were all here in a musical celebration of Dr. Martin Luther King's birthday. He ended the night on an uplifting note by telling the audience, "When you realize your purpose, you become the light in your world." Howard Winters and Tara Hicks, both from Pleasantville, enjoyed the concert thoroughly. "We always come to the Old-School Hip-Hop shows because it's real music," said Winters. "I loved it," said Hicks. Good vibes and positive energy permeated the air throughout the All-Stars of Hip-Hop concert, which caused Hicks to say, "It's all love.